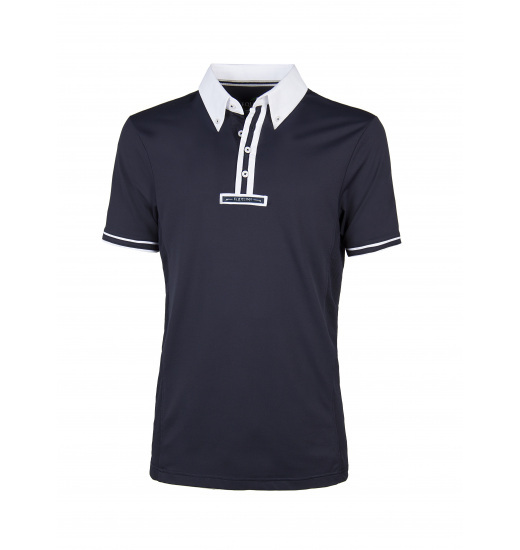 Men's training polo shirt Stan. 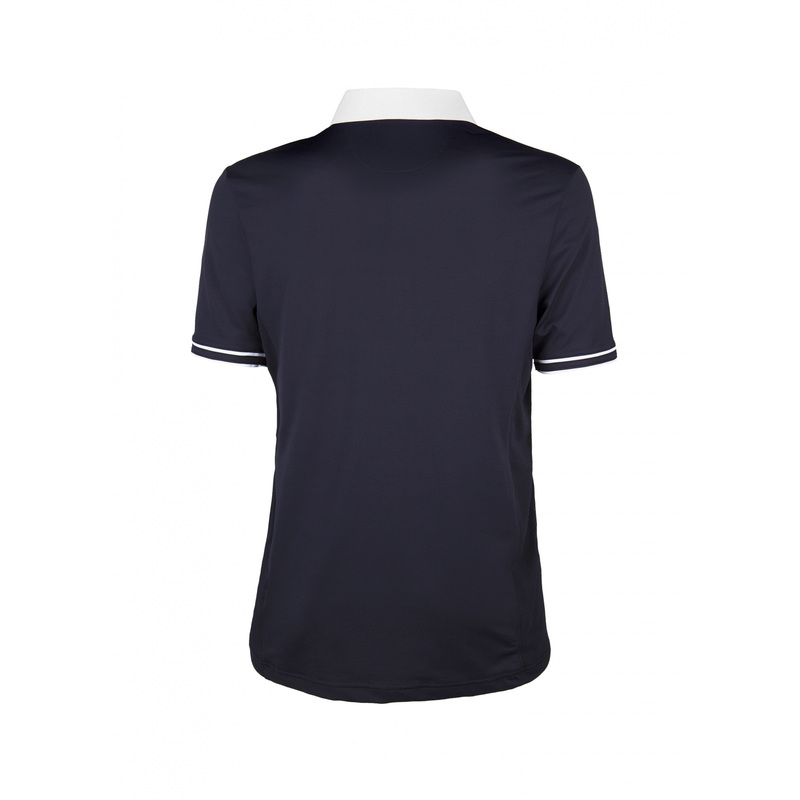 It is in dark colours, its contrasting white stitches on the sleeves and collar make it elegant. 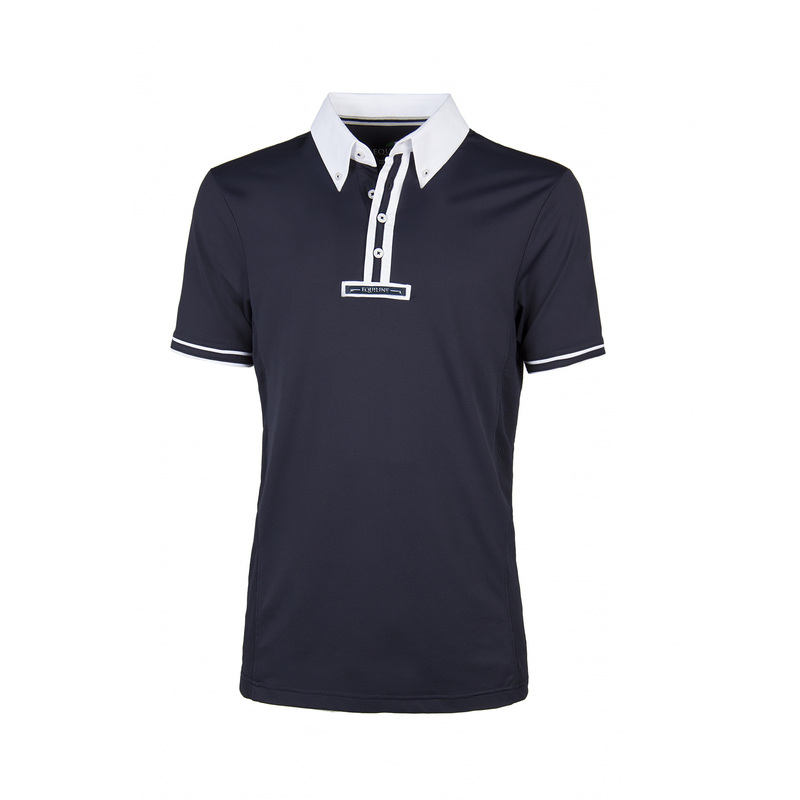 The shirt is fastened with buttons by the neck and below the fastening it has a white Equiline logo. It is made of durable and high-quality material.